Before we all get too excited about those rumors of a reboot of The Office that have been swirling for a few months, we may want to pay attention to what the show’s stars are saying about it. Yes, most of them are on board to return for a revival. Yes, NBC has said it’s interested if the series creator, Greg Daniels, is. By all accounts, it seems like a reboot should have the green light already. But not so fast. Obviously, the show couldn’t happen without Jim (can you imagine the outcry from fans if he didn’t return? ), so if he hasn’t gotten the call, the reboot can’t be that close to finalized in terms of casting or story. Still, Krasinski is on board if he ever does get a call from NBC. “Oh, my God. Are you kidding? I’d love to get that gang back together,” he told DeGeneres. 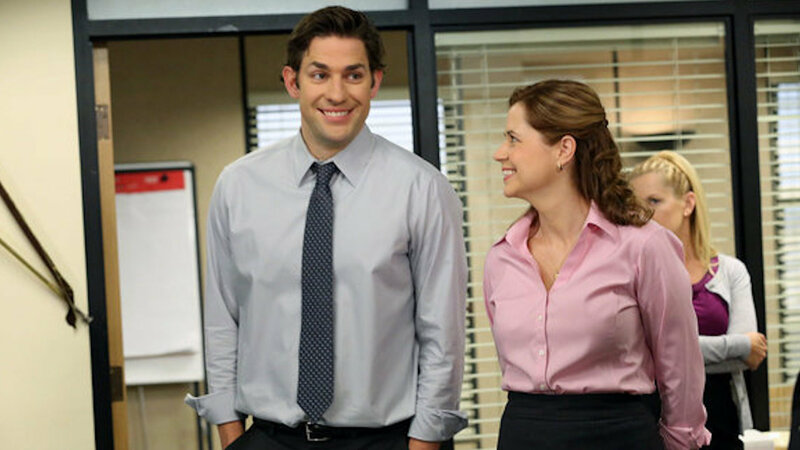 More: Will the OG Cast of The Office Return for the NBC Revival? And he’s not the only one. Jenna Fischer opened up about it to E! News during the 2018 Winter TCA Press Tour, talking about what she thinks the Halperts would be up to these days. Fischer echoed Krasinski in saying no one from NBC has reached out to her about a revival, but she’s as excited about the prospect as he is. “I think the idea of an Office revival is — I think it’s a great idea. I would be honored to come back in any way that I’m able to. I loved playing that character, and as long as Greg Daniels is the person in charge and the visionary behind it, then I would absolutely be up for it,” she said.